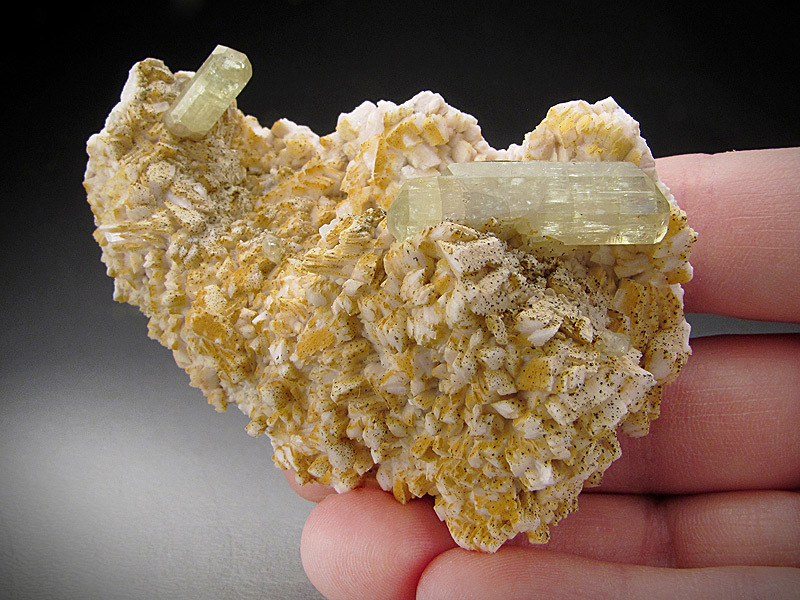 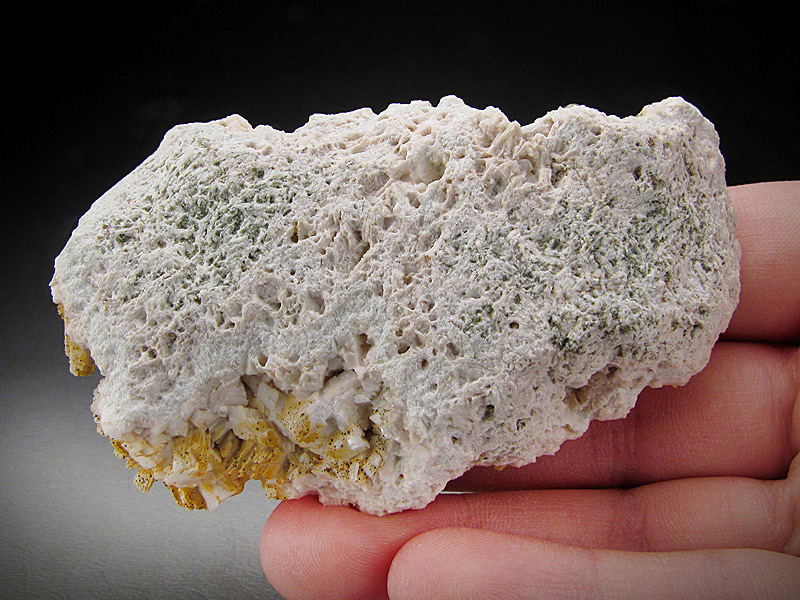 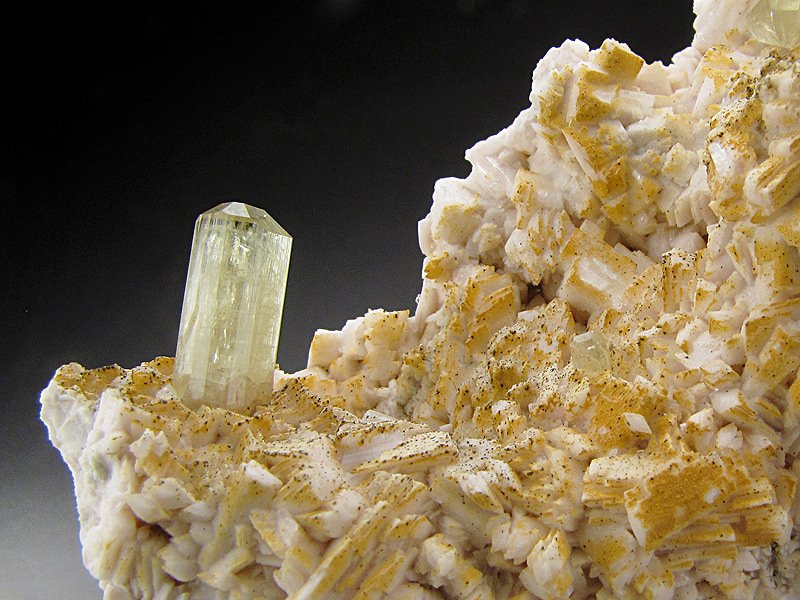 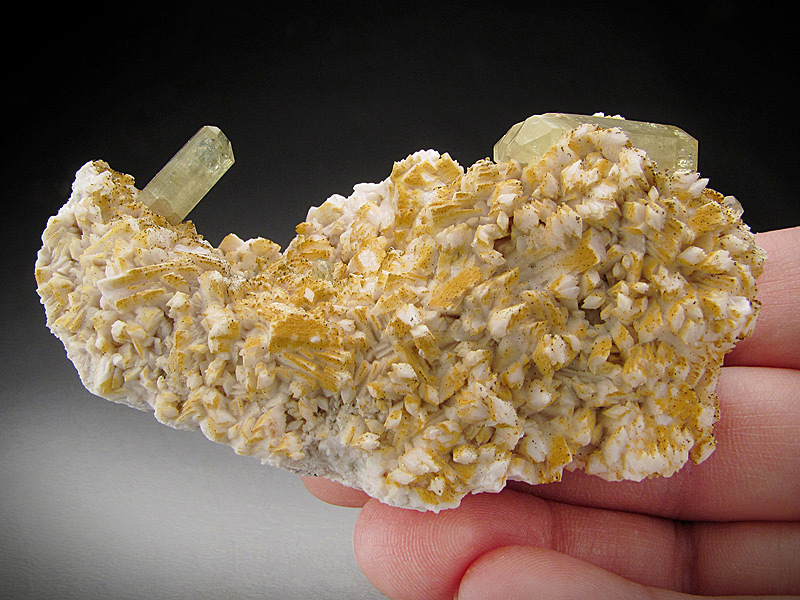 This interesting specimen features pale yellow-green apatite crystals on an off-white feldspar matrix. 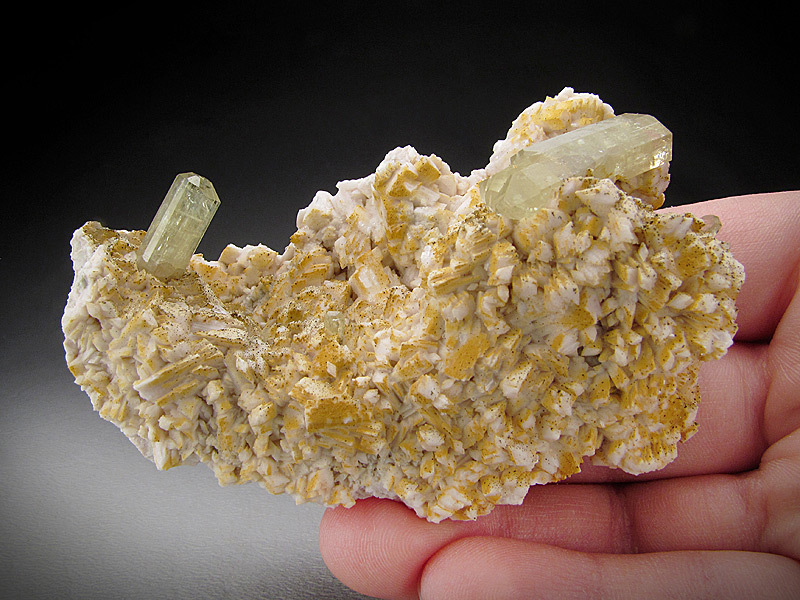 This piece measures overall 7.6 cm wide by 4.7 cm tall and 3 cm front to back. 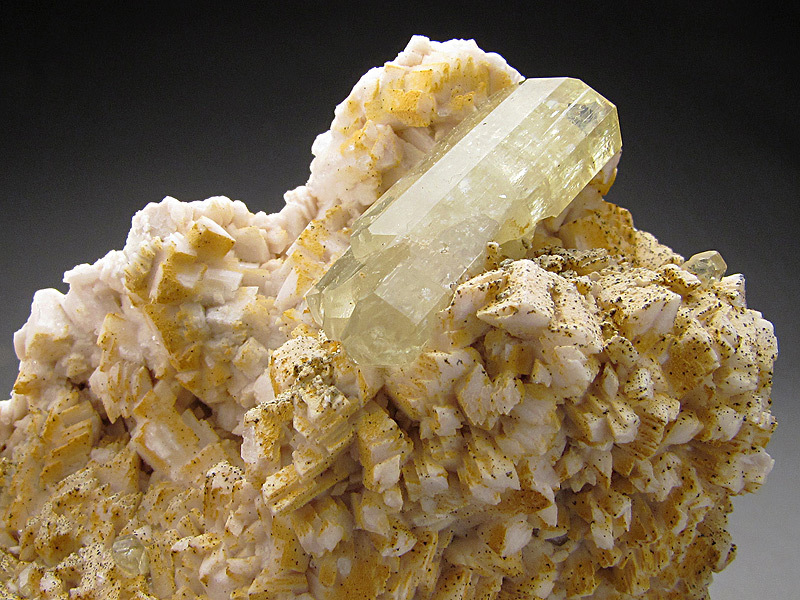 The piece is from the Imilchil, Er Rachidia Province, Meknès-Tafilalet Region, Morocco.